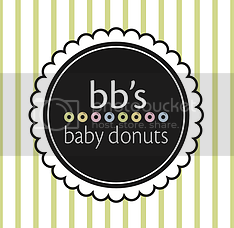 Tales of The Baby Donut: BB'S HAS A NEW MACHINE! BB'S HAS A NEW MACHINE! can you believe our old donut machine has made almost ONE MILLION DONUTS?! we can hardly grasp that we've come this far and have made this many donuts, all for our amazing and loving customers! debbie the donut lady has always had a dream to purchase a second machine, and because of hard work, the dream became a reality! we're all excited to crack open the new machine and get it up and running. stop on by this saturday to see it going in all it's silver glory, and try some donuts, too! oh, and don't forget to post your favorite flavors to the #BBsFlavorGlossary on Instagram and Facebook!